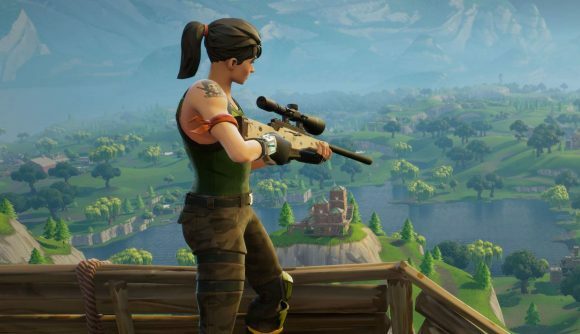 A fan-made Fortnite creation has been removed from the game after players discovered that it appeared to depict the scene of a suicide. Mysterious Mansion, which briefly featured in-game via The Block, has now been replaced. The location was made by three players. One of those, FuryLeaks, posted a video showing off their map ahead of its appearance on The Block – an area of the Fortnite map dedicated to player-made creations. The basement of the house features a prison cell and a summoning circle, but around the corner, a character can be seen hanging from a rope over a chair that’s been tipped over. Nevertheless, the game was quickly updated to remove Mysterious Mansion from The Block, replacing it with previous submission Tropical Treetops – before this, no fan-made submission had featured in the game on two separate occasions.